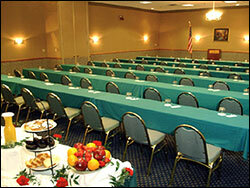 Looking for an affordable Chicago banquet hall, look no further. With over 10,000 sq.ft of banquet and meeting space the Chicago Hillside Hotel can handle any banquet, wedding, conference, seminar or any type of event that you can imagine. Our professional staff can assist you with planning your event and insuring that it will be a memorable one. With capacity to hold from 10 people to 500 of your closest friends we can handle it. 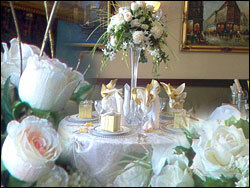 More importantly we are one of Chicago’s most affordable banquet halls. With a convenient location for all your guests to get to, this Chicago banquet hall will save your guests time and money. 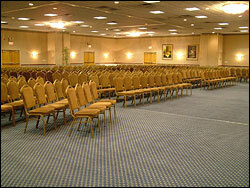 Maximum seating capacity is dependent upon additional requirements of the client. 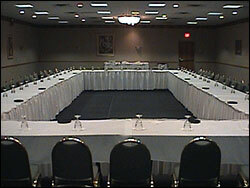 Staging, tables, dance floors, displays and A/V equipment will reduce the seating capacities listed above.